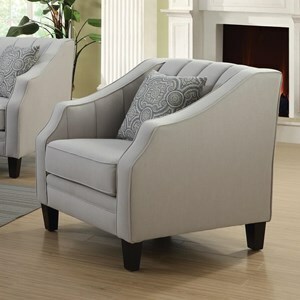 An updated take on traditional seating, this collection has a tightly upholstered back accented with channeling details. A light grey fabric gives the collection a modern and airy aesthetic. 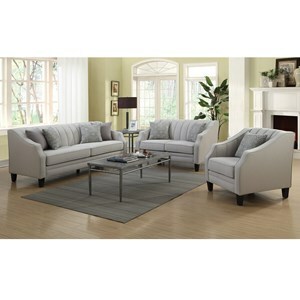 Browse other items in the Loxley collection from Value City Furniture in the New Jersey, NJ, Staten Island, Hoboken area.